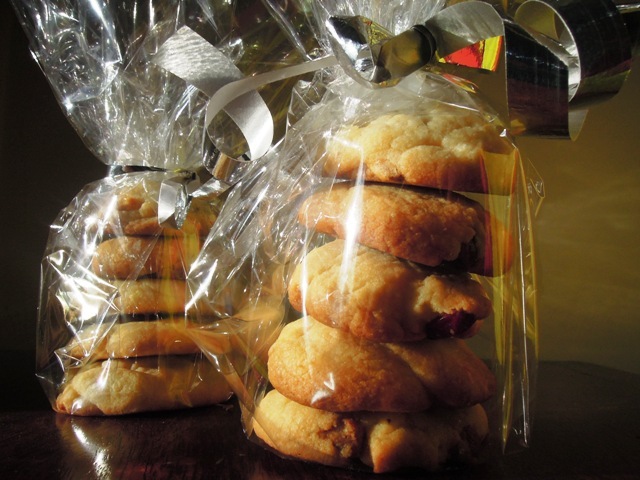 Yum, I love making up food hampers for family at Christmas, these would be great! 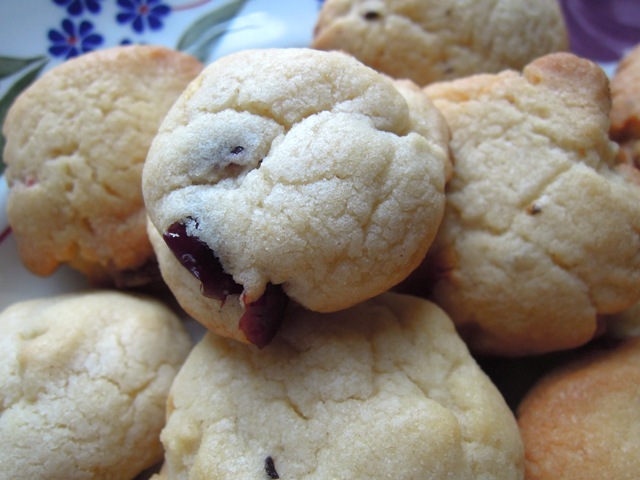 I’ve made white chocolate and cranberry cookies before, but not with cardamon. Wish I’d thought of that. Next time definitely! I’m rather addicted to cardamom and it goes so well with white chocolate too. Vanesther, have you ever frozen the dough to bake at a later time? Would love to have these on hand to pop in the oven. They look lovely! I haven’t frozen the dough myself, but I see absolutely no reason why it wouldn’t work. A very good idea! These look lovely. Definitely agree it’s lovely to give home-made gifts, especially involving children in the making. Funnily enough I regularly make white chocolate, cranberry and pecan cookies from a Nigella recipe for gifts and was planning to bake a batch later in the week. But love the idea of cardamom, very tempted to make these instead. I’m loving your cardamom and ground almond additions, I’ve made quite a few batches of white choc & cranberry cookies but yours sound delightful, and just a little bit more grown up. I love giving homemade edible gifts, especially ones you can make with the kids for added fun! Great entry to Family Foodies Kids Christmas! I read the interview with the Archbishop of Canterbury and fully back his sentiments. These look delicious and I like the twist of the cardamom addition. I’m always looking for something different to give as little gifts. I love making home made gifts – definitely shows love and affection! These look really good and the flavour combination sounds fantastic. Thanks for entering AlphaBakes.